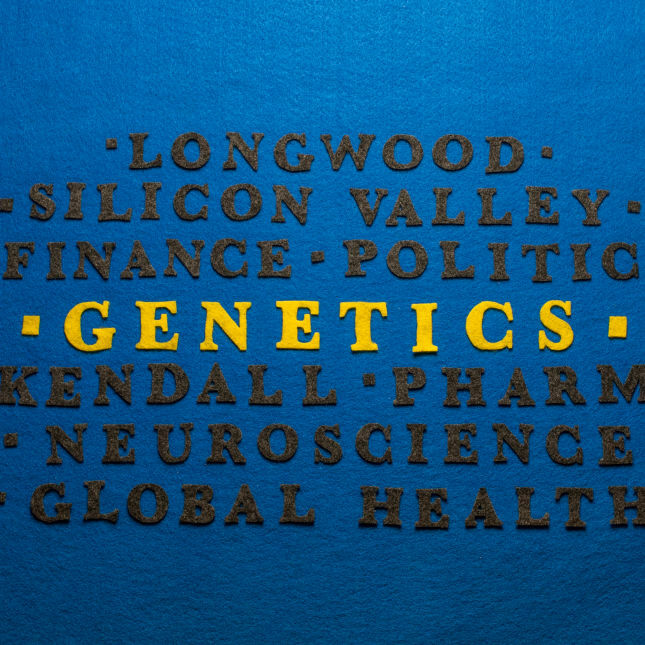 The sequencing of the human genome did not immediately yield new cures, but it did create a growing industry of genetics-focused companies. Many of the top firms struggled early, but as science, technology, and regulations have evolved, so have the commercial opportunities. Below are three current or former executives who have set the course for the field, and should continue to be trailblazers in the year ahead. Anne Wojcicki’s has waged a campaign to win hearts and minds at the Food and Drug Administration. Two years ago, after the FDA shut down the health businesses of 23andMe, the consumer genetics testing firm was forced to only offer information about nonmedical traits such as ancestry. But for Wojcicki, the longtime CEO and cofounder, that was never what the company was about. She set down a path to win FDA approval for 23andMe’s health-related services. In October, the company announced it would again offer health data — specifically, information on whether people have genetic mutations that could lead to 36 different diseases. Although this pales in comparison to what 23andMe offered before the 2013 ban, it still could pave the way for wider authorization of direct-to-consumer genetic testing. Wojcicki remains steadfast that 23andMe will expand its testing menu — with the FDA’s blessing, of course — if not in the coming year, then not much later. Meanwhile, Wojcicki has visions of turning 23andMe into a quasi-drug development firm by leveraging its genomic technologies. Along with deals with Pfizer and Genentech for potential new treatments targeting Parkinson’s disease, lupus, and inflammatory bowel disease, the company created a therapeutics group to use genetic information to advance new treatments for common and rare illnesses. 23andMe has been quiet about its specific plans in the therapeutic space, but as it explores opportunities, there could be more partnerships with pharma this coming year. Work on identifying drug targets will continue as well, and the firm will further refine its focus on disease areas for its own therapeutic development efforts. Illumina was a little-known spinoff of Tufts University when Jay Flatley came on board in 1999. But over the next decade and a half, Flatley grew the firm into a $27 billion behemoth and the dominant player in genome-sequencing technology today. Now, however, some onlookers are beginning to wonder whether improvements in the firm’s technology is becoming incremental rather than transformational. And analysts will be scrutinizing Flatley’s leadership as market opportunities for the technology starts to slow. Illumina’s stock had climbed sharply the past few years, but, since reaching an all-time high in July, its share price has dropped by about a quarter. Flatley’s plan for growth: the clinical space where Illumina’s technology will be used for patient care. As genomics moves from the lab to the clinic, Illumina has invested heavily in diagnostic tests leveraging its technology. Expect additional news this year about gene panels aimed at cancer. At the same time, the firm is resolute in continuing to lower the cost of sequencing, making it accessible to more people. Flatley has said the $1,000 genome is already a reality with Illumina’s technology. The industry won’t have to wait long to see what’s up Illumina’s sleeve. Flatley has traditionally used the annual JP Morgan health care conference each January as the forum to announce major new instrument launches and provide company updates. It should be no different this time around. As the head of one of the world’s biggest gene-sequencing shops, Wang took many by surprise when he stepped down in July as the chief executive of China’s BGI. It turns out that Wang’s plans going forward could be far more ambitious than anything he did while at the company formerly known as the Beijing Genomics Institute: He wants to build a platform incorporating artificial intelligence and genetics for monitoring people’s health. It’s a grand plan that will leverage supercomputing and Big Data capabilities, require at least 1 million genomes, and cost an initial $1.6 billion, by his estimate. The ultimate goal is to create a knowledge base of genetic and other data that can be used to guide people to healthier lifestyles and habits. At the same time, the data resulting from the project could be used by pharmaceutical companies for drug development work. Wang has called this his “lifetime project” and would like to see it come to fruition within the next 20 years. Undoubtedly, the effort will yield insights much sooner as well — possibly in the next 12 months.